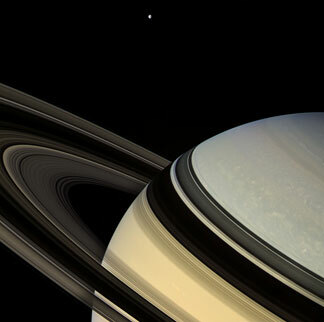 This exhibit displays over fifty images of the planet Saturn, its rings, and its satellites. This selection, by Cornell members of the Cassini project, was made from almost two hundred thousand images that have been transmitted to Earth since the Cassini spacecraft arrived at Saturn in 2004. It also includes a few images taken by Huygens, a companion lander that parachuted through the dense atmosphere to the surface of Saturn’s intriguing moon, Titan. The stunningly beautiful images were chosen to emphasize the dynamic nature of the system and the interactions of moons and rings, as well as to explore Titan and Enceladus, two satellites with environments that might be hospitable to life. A spacecraft model will also be on view as well as historical books about Saturn from the Kroch Rare and Manuscript Collection. A façade projection of images from Saturn will be seen on the east side of the Museum from sunset until 11:00 p.m. between October 2 to 26. We saw this show along with a lovely collection of Surimono images collected by the Becker family at the Johnson Museum at Cornell prior to our going to see a movie, changed from proclaimed to "happy go lucky". These Saturn images were remarkable...so much so that it really raises the bar for our friends the science fiction illustrators as now so much that had to be imagined, reconstructed or modelled is now reality in these images. It was a small collection of photographs produced by a collaboration of people and groups from NASA, to the leadership of Steve Squires (Mars Rover Project) and his team, to University Photography to sit at Cornell to raise our sights and imaginations. The images were very fine, not a lot of pixelation which portrayed Saturn's rings in some with detail and measurements in the captions that really made me take a step back. Additionally there were images of some of Saturn's moons, images of methane and the methane cycle (which K clearly detailled for me>> methane moving in a cycle much the way we have water>> gas> liquid> solid and then gas again...). If you are near the Johnson, it is worth the trip. This collection of prints from a NYS family was prompted by a show in recent past of different Surinomo prints. 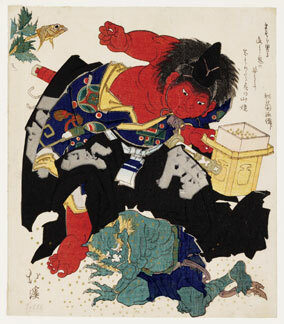 I have the book of the the former show and was very excited and pleased that the Johnson Museum considered another show furthering our understanding and interest in this very specific area of Japanese prints. 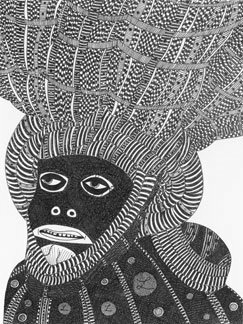 These Surinomo woodcuts were amazing in their sheer size and technical prowess. These Surinomo images were produced and collected in the mid 1700s-- with many of them being about 8" x 8" in size. With the affordability and size, you can imagine the popularity they had with topics ranging from food, to religion, to everyday scenes, landscapes--the range. These small images twinkle with strong design (of course, silly, they are Japanese prints! ), the somber but lively palette, the fine-ness of the line and gradients pulled with a woodcut, and the use of blind embossing as another color/texture to take these prints beyond the expected. I had seen images from this show as photographs before, but this change in the architecture of the paper, this quiet detail to put emphasis in an image, to add hair to a seemingly white dog, to enrich the pattern and drawing of water is the reason to see the show. This caught me off guard to my delight. According to their registrar (who had late Thanksgiving with us), in a few weeks, those images on display will be changed out of their frames and a new set of around 100 images will also be shown. Another reason to go back. One of my favorite things at the Johnson is their works on paper section which often has current work of emerging artists. That's where the real jolt comes beside the wonderful video installations that they sometimes have. The is the stuff that you can just gulp down without rhyme or reason, without history or sociology,just imbibe and integrate. There were quite a few thoughtful images from big linoleum cuts (36"x 48") to digital output with added/glued detail. I am so happy that giclees were happily at home with these other print media as, for me, it justifies it as a fine media/ fine image making approach. My favorite image was a black and white ink drawing from Laylah Ali "...the exhibition will include a recent ink drawing by Buffalo native Laylah Ali, part of her ongoing Typology series, in which she examines the many ways identity is manifested while referencing issues of race, class, gender, and power." I first saw Ali's work at Art Basel Miami last year and flipped. Her imagery is strong, her messages extrodinary and her decorative approach speaks to this novice. Need to learn more about this fine artist. PBS did a documentary (and their usual great job of writing bios/ getting sidebar information) on her as part of their Art 21 series. Its snow raining. Everyone is working on their own thing from eating and movie watching to planning for the week. I am predictably blogging by the stove (on minime) with hope to whale a bit more on my paper and get back to some drawings...We need to get back to Tburg from the grey lake to pack Rob, do laundry and unload the pile of leftovers we will chug through this week to K and A's disappointment. Turkey may not look so good after three days! I am roasting turkey carcasses with a chop of celery, carrots, onions and a few soft turnips which smells pretty great and then will boil with water to make a very nice rich stock. The roasting is key. More later. Maybe a picture?